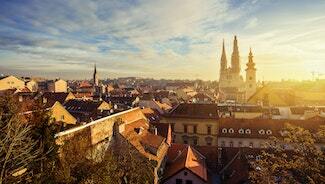 Zagreb is the vibrant capital city of Croatia. 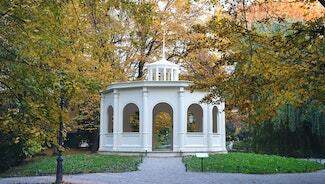 History buffs will fall in love with the city for its rich history. 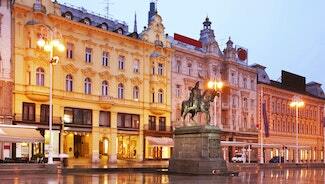 City of museums is the other name of Zagreb. This is because the city boasts to have countless museums than any other city in the world. 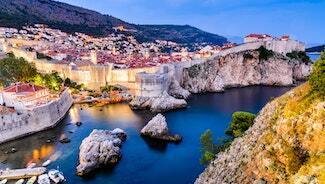 Dubrovnik is one of the most prominent tourist destination located in the southernmost part of Croatia. 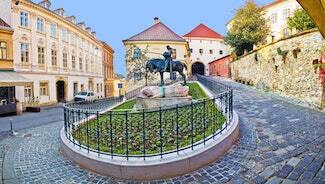 It is a UNESCO World Heritage site for its remarkable old town that has been perfectly preserved over the years. 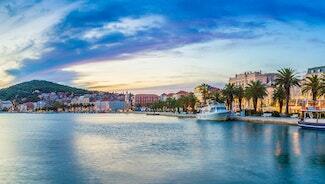 Split is stunningly located between the dramatic coastal mountains and the blue waters of the Adriatic Sea. This makes it a perfect holiday destination in Croatia. With a bustling waterfront, Roman ruins, old palaces, museums, churches, and fresh seafood, there is so much to experience in Split. 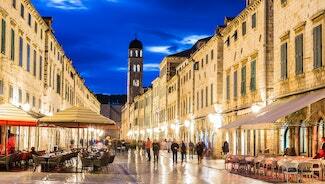 Zadar town is the second biggest city in the Dalmatia district and one of the most vibrant towns in Adriatic. 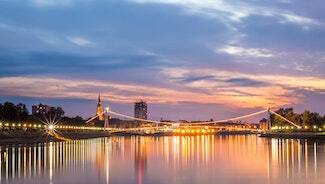 It is an intriguing city to explore that is rich in both history and natural beauty. If you are looking for a destination with a series of unending day trips, look no further. 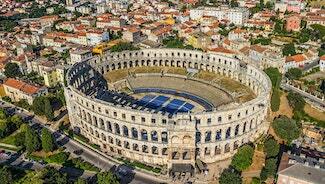 Pula or Pola city is the largest city in Istria County, Croatia and the eighth largest city in the country. It is a magnificent coastal city that still boasts of Ancient Roman architecture with a gorgeous coastal sea line. Whether you are looking for a place where you can relax and have some fun by the beach or you want to explore a new culture, this is for you! 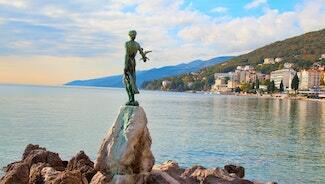 Rijeka is one of the most beautiful cities to visit in Croatia. With buildings dating back in the 18th century standing strong and beautiful, wandering in its old streets will take you to back those days. Beautiful buildings will make you fall in love with the city. 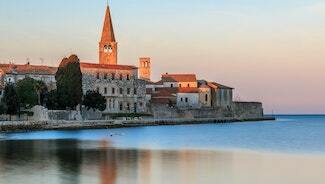 Porec is one of the most beautiful and visited destinations in Croatia. It is a place that is amazingly gorgeous and the perfect spot for your vacation. Relax on the most beautiful beaches with crystal blue waters as you take in the breathtaking views of its surroundings. Filled with pebbly beaches and shaded gardens, Makarska is one of the top tourist destinations of Croatia. Famous for its narrow streets, you will definitely get amazed by the spectacular views of beaches surrounded by pine trees. Hike on the mountains or admire the natural beauty of the surroundings of Makarska! After a restoration of its buildings, damaged during the war, Osijek rediscovered its ancient splendor thanks to the student of the university, the grace of its inhabitants and the placid tourists that visits the city all over the year. 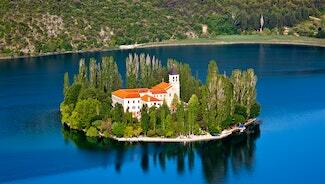 A true gem in Croatia! One of the great choices to explore the art, music and historic places of Croatia, Korcula Island offers a complete package for your enthusiastic holidays. Besides beautiful natural sceneries, it is filled with churches, historic sites and museums. You will surely enjoy the folk dances in the main town of Korcula! Opatija is in the north of Istria, one of the regions of Croatia, and it is famous for its beautiful views, amazing sea and, of course, the high quality of life. Here you will find the relax you need in your life! Known also with the ancient name, Tenin, the city has attracted many tourists after the end of the Balkan wars, thanks to its position on the map, the national park behind it and for the fortress of course. Perfect for a relaxing weekend, Knin is waiting you! 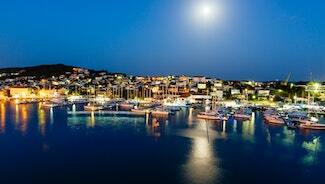 Where else can you find a placid atmosphere and a dancing night, everything under the stars of the Balkan coast? Well, just come to Novalija and you will see! Have a walk on the promenade, try some traditional delicacies and have fun in the evening! This city in Dalmatia is one of the most attractive seaside locations in Croatia, thanks to its history, its amazing beaches and the relaxed atmosphere that surrounds the city. Omis will strike you for sure and you will not leave! 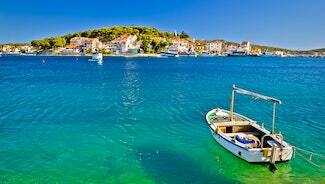 Famous for its fascinating beaches, Cavtat is the cultured destination to spend your relaxing holidays. Alighted on the wooden peninsula, Cavtat attracts thousands of people with deep blue waters of the sea that sparkles in the bright sun. 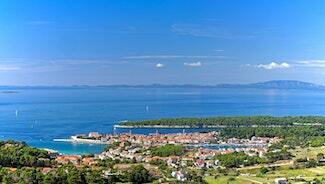 Plan a full day trip to Biograd Na Moru and enjoy the panoramic trails of nature. If you want to enjoy your holidays with the pinch of adventure then Biograd Na Moru suits best to your requirements. Get ready to get amazed by the meticulous views of nature. 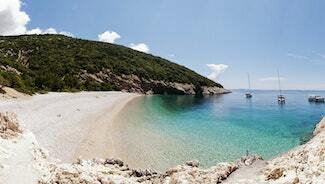 Are you seeking for perfect holidays in Croatia? Cres, the second biggest island rich in diverse heritage sites will definitely fit in the definition of a perfect holiday destination. Hike through the rocky ways of mountains and admire the beauty of hilltop towns! Spend your vacations with fun in Ciovo, the beautiful island connected to the Trogir city by a bridge. Filled with holy churches to charming beaches, it serves as a great package for your amusing holidays. You can place your lounge chairs under the natural shades and enjoy your fruity cocktails. Perfect for beach lovers! From paragliding to walking through the hiking trails, Crikvenica is a complete package for your amusing holidays in Croatia. 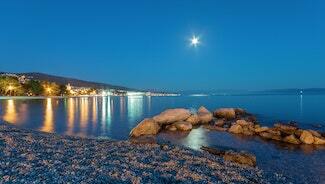 Crikvenica offers a number of adventurous activities to travellers. Spend your day having a cold drink on the sunny beach, is truly the best experience! Experience the rich cultural and historical sites of Krk, one of the largest Croatian islands that attract travellers all over the globe. From rocky caves to amusing underwater parks, it serves as a perfect place for those who want to spend their day with entertainment. Take the camera and capture the life of the past! Unwind your holidays with the classic experience in Murter, the top spot for vacations in Croatia. Filled with most of the hidden treasures for fun, Murter attracts thousands of visitors all over the globe. Explore the hidden beauty of Murter by planning a trip on the yacht boat accompanied by beautiful dolphins! From night tours to day trips, Medulin serves as a complete package for your fun vacations. Known to be the best holiday spot in Croatia, it is famous among tourists who want to explore the fun and enjoy their vacations. Plan a bike tour at Cape Kamenjak which perfect for your amusing holidays! If enjoying the rich flavors while keeping health and high-level fitness is on your travel checklist, then the Dolac Market is a must visit destination! 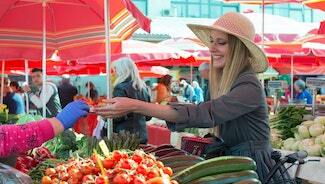 The market is active, vibrant, charming and holds a beautiful historical value as well. This city is located in the central part of Croatia and it acts as an administrative center of Karlovac County. With its population of approximately 55,705 inhabitants it boasts of being one of the most diverse in Croatia. Lozovac is a settlement that is located at the entrance of Krk National park, approximately 15 kilometers away from Šibenik. The settlement spreads out through the Dalmatian Zagora and therefore you can easily enjoy the natural phenomena of the Dalmatian area. Novigrad is situated on a small peninsula on the western coast of Croatia more specifically in Istria County. Novigrad has retained its medieval structure and layout, with narrow, winding streets and small shops. Peljesac is the second largest peninsula in Croatia, it is located in southern Dalmatia as part of Dubrovnik-Neretva County. It is separated from the Klek peninsula of Bosnia and Herzegovina by the Bay of Mali Ston, this also separates it from the Croatian mainland. 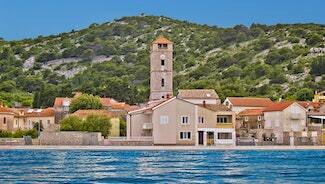 This town is located near the Adriatic Sea in Croatia approximately 26 km from the city of Šibenik. It is a small town with rich culture and history, it has approximately 2,000 inhabitants of which Croats make an overwhelming majority. 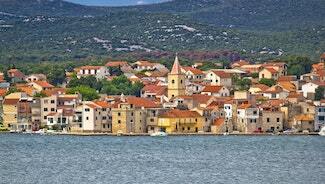 Rab Island is located in the Adriatic Sea just off the northern Croatian coast. 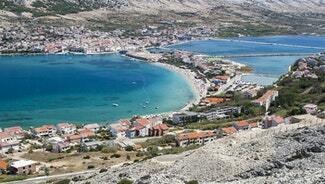 The island of Rab was first specified in a Greek source Periplus of Pseudo-Scylax at around 360 B.C. and afterward by another Greek and Roman geologist by the name Arba. 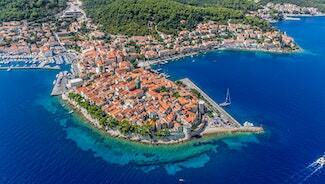 Rogoznica is a town in Croatia that is located on the Dalmatian coast. It is a popular tourist village that is located on the southern part of the Šibenik-Knin County, approximately 30km from Šibenik. It is sheltered from wind by a deep bay and is populated majorly by Croats. Are you looking for a place for your next vacation where you can chill out and take a break from everything? 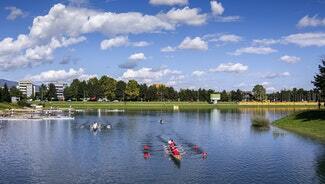 Jarun lake is the perfect place for you. It’s amazing and beautiful landscapes attract many tourists every year. The Croatian National Theatre is one of the most visited monuments in the capital, Zagreb. It preserves the beauty and the cultural importance it had in the past. All the major Croatian artists have worked here confirming the importance of this building. Well, if you are tired of walking around, if you just want be part of the traditions of the city, you cannot avoid a ride on the funicular railway in Zagreb, which will bring you in the Upper Town, the historical part of Zagreb. Known for its famous statue of the military general Ban Jelacic, constant buzz and vibrancy, Jelacic square makes a perfect and all-time favorite hangout spot for locals and tourists. Legends, history and modern life melt inside the tower of Zagreb, bringing to its visitors a wide range of things to see and learn. 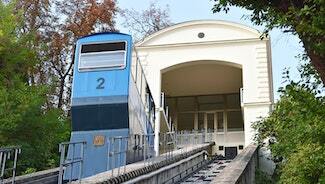 So jump on the funicular of Zagreb, which will leave you at the tower entrance and start to discover its history. Are you tired from normal outings and want to go to an escape where you can just enjoy the nature? Maksimir park is a spectacular park in Zagreb, Croatia that offers you beautiful walks and amazing fun activities like rowing, cycling and running! And for parents, don’t worry about your children because Maksimir park has two amazing playgrounds for your kids! 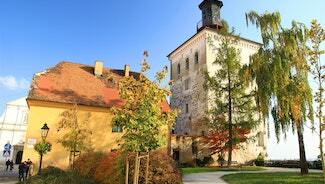 Many people from all around the world visit Medvednica for its beautiful landscapes and relaxing views. It is the perfect place for you to enjoy many fun activities like cycling, hiking, trekking, skiing and trail-running. It is also a perfect place for exploring as it has many caves and mountains! 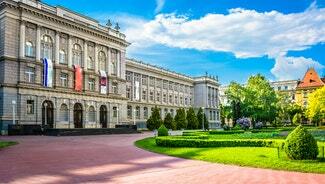 Mimara Museum is one of the most beautiful museums in Zagreb, Croatia that is not to be missed. 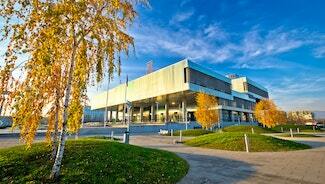 It has a lot of impressive art collections like paintings, crafts, glass and sculptures from all over the world! It is a great chance to explore things and know more about different cultures. With its extraordinary architecture, it is impossible to miss the Museum of Contemporary Art and its collection. The collection will bring you to a journey through the years of Croatian and European art, from the experiments of the 60s until the new tendencies. St. Mark's Square is considered a top touristic destination in Zagreb, Croatia. It is known for its beautiful buildings and especially St. Mark's Church. Many people love to go there to enjoy walking and taking pictures in this beautiful and unique place. Considered now a sacred site, the stone gate is visited not only by tourists on holiday but also by Croatian people who are devoted to the Virgin Mary and Jesus. 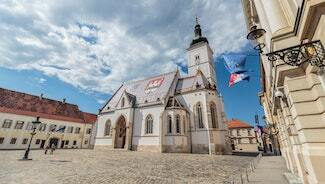 So however you feel about it, for sure it is a must see place for Zagreb’s visitors! If you are looking for someplace new and at the same time exciting, this is for you! Zagreb cathedral attracts many tourists every day for its beautiful building and unique architecture. People love to go their to enjoy taking pictures and also to get to know more about the history of Croatia. The park is located in the Lower Town, and the Croatian architect Milan Lenuci, who inserted trees from Trieste, statues of important and famous personalities, and a fountain, created it. Every detail was inserted to please the Croatians! Plan your holidays to Dubrovnik, Croatia and don’t miss to visit Cathedral Dubrovnik, the Romanesque- styled Cathedral. You will get amazed by the interiors of this luxurious dome ornamented by many statues. This historical site is worth the visit! 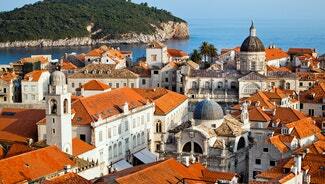 Dominican Monastery is one of the most visited places in Dubrovnik. Thousands of tourists are attracted by this cultural and historical place. The architectural and art exhibited by this place is clear proof that it was not built in one day. With high rising outer walls. If you have decided to spend your holidays in Dubrovnik, Croatia then you will get amazed by the panoramic views are seen through Dubrovnik Cable Car. 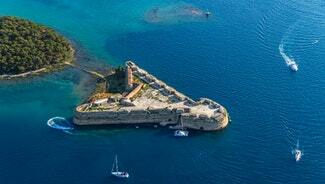 You will definitely enjoy the top view of the old city and the number of islands! 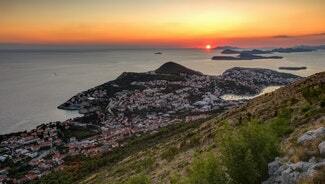 Climb up the stairs at Fort Lovrijenac to explore the exotic views of the Dubrovnik. Walk through the network of back streets and head towards the walls connected to the fort to enjoy the exotic views of the city. Mount Srd is one of the most visited tourist destinations in Croatia. Millions of visitors flock to this site to take in the beauty of the stunning natural backdrops from the top of a mountain. 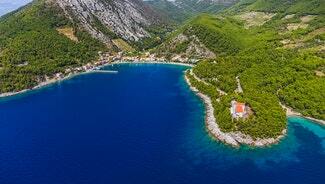 Getting a chance to view Croatia's coastline from high above is something you should not miss. The royal place with uniquely designed strong fort walls surrounding and protecting the Old Town Dubrovnik is perfect for vacation. This is world’s one of the most well preserved old town. Pile Gate is a must see sight when touring Dubrovnik. Don't miss a chance to see the gate that was once closed every evening and a wooden drawbridge lifted to prevent the enemies from accessing the city. The gate has become famous more recently as it served as a filming location for the celebrated series Game of Thrones. The clean and ample street of Dubrovnik old town, Stradun Dubrovnik offers a great package for your fun vacations at Croatia. Surrounded by many amazing places, you can take the joy of delicious food served at restaurants. Don’t miss to taste special ice-creams! The Ploce Gate is one of the three entry points to the walled city of Dubrovnik. It is present on the eastern side on the main street Stradun. It’s less busy than the Pile gate. If you are planning to spend your vacations in Croatia, then you should definitely visit Rector's Palace Dubrovnik, the fascinating place which offers the view of past life in Dubrovnik. Covered with the impressive courtyard, this place is worth the visit! 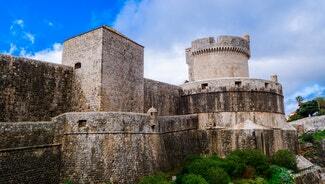 Walls of Dubrovnik are one of the main tourist’s attractions of Dubrovnik. It has been the favorite of filmmakers also for its uniquely rich historic appeal. It is one of the top destinations.